ATD Dallas Chapter - Webinar: Master the Power of Social Selling with LinkedIn! Webinar: Master the Power of Social Selling with LinkedIn! Master the Power of Social Selling with LinkedIn! LinkedIn is the proven #1 ranked online business-networking tool that gives business professionals and companies the ability to connect, demonstrate their skills, services and products, and develop meaningful business relationships and sales. With more than 467 million users worldwide, LinkedIn provides unlimited networking and business building opportunities. Widely considered to be a Guru of LinkedIn, Terry has trained more than 6,200 business leaders and owners across the nation on how to create their very own unique online brand that gets results. His inspiring LinkedIn training programs focus on branding, keyword optimization and Social Selling strategies that help his customers tap into the world of Social Media to get more prospects, leads and clients. In his presentation, Terry will show you how use LinkedIn to take advantage of the immense opportunities this powerful platform offers as a personal branding and marketing tool to achieve your business goals. 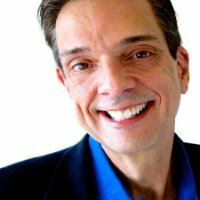 Terry Sullivan is the founder of BUZZPRO, a nationally recognized Integrated Marketing and Social Media training company that helps companies and professionals get better results with LinkedIn. Terry shows his clients how to fill their sales funnels with better leads, schedule more appointments and close more sales using advanced LinkedIn branding and Social Selling strategies. Widely considered to be a Guru of LinkedIn, Terry has trained more than 6,200 business leaders, owners and individuals across the nation on how to create a unique online brand that gets results. His inspiring training programs focus on keyword optimization, branding, and Social Selling strategies that help his clients tap into the unlimited world of Social Media to get more prospects, leads and clients.